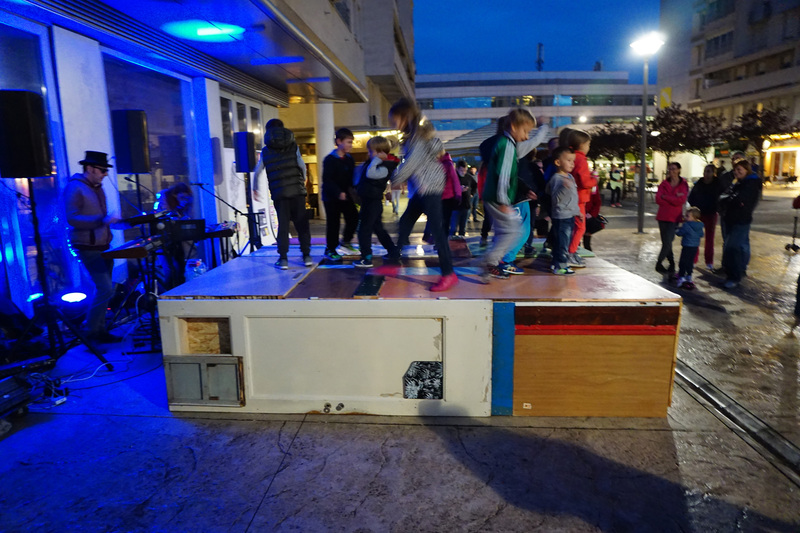 Sculpture STAGE was made out of the recycled wood found in Belgrade, Serbia, in 2017. Sculpture is second version of the previous work CAKE made in Lahti, Finland in 2000. 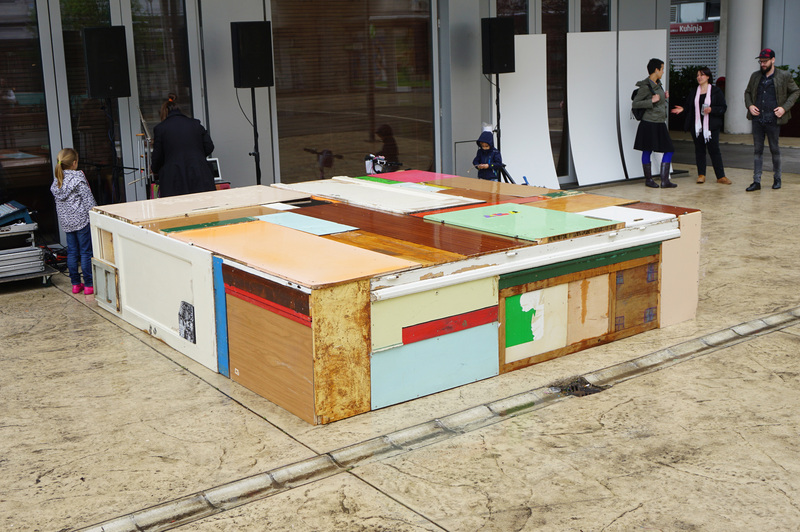 Minimalist sculpture was made as a collage of multicolored boards discarded by the citizens of Belgrade become a stage on the one of the pedestrian squares in the New Belgrade’s settlement Belvil. 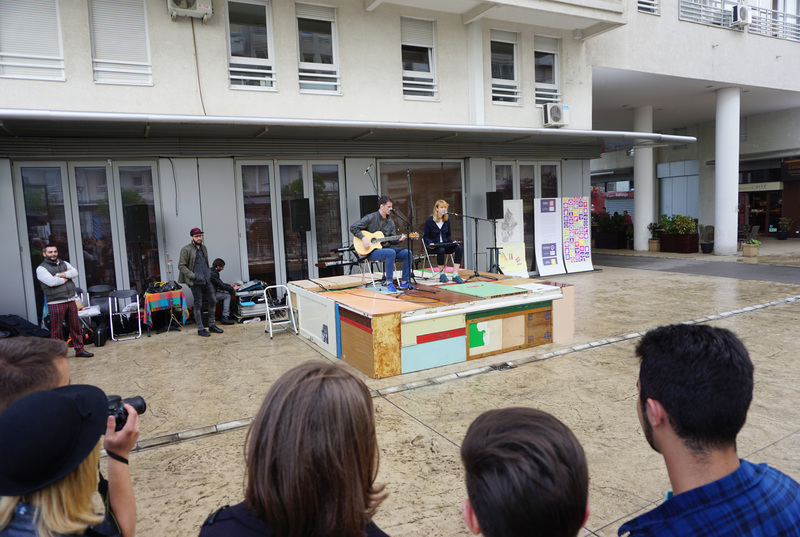 Stage was made in a framework of the international project called If Buildings Could Talk (Kad bi zgrade pričale). Serbian magazine for the contemporary art Supervizuelna was the producer and organizer of the event. Other participants were Pesnicenje, Manja Ristic and LP Electro. 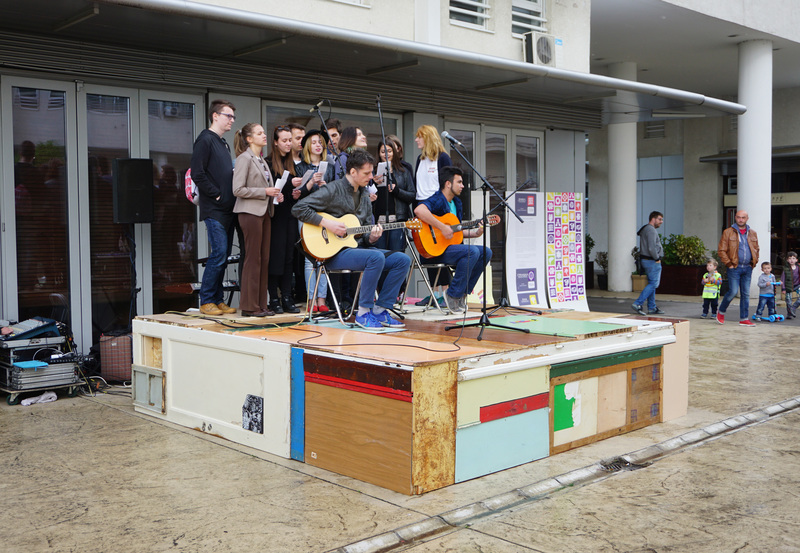 They were reading poetry, singing and playing, using this work as a real live stage.